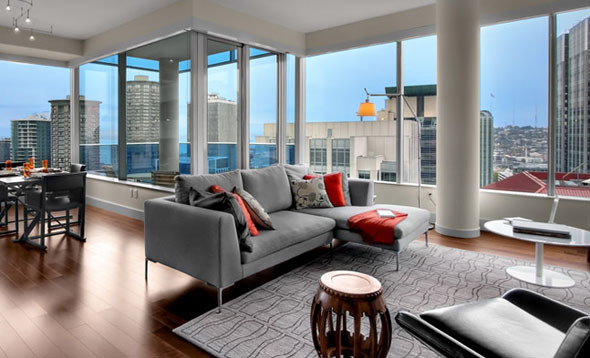 Downtown Seattle’s new condo towers continue to sell out and inventory is becoming scarce. The Olive 8 Condominium at 737 Olive Way is now 95% sold (closed & pending units) with only 12 units remaining and joins 1521 Second which is over 97% sold. Remaining homes at Olive 8 include one bedrooms priced from $505,000 and two bedrooms from $1,175,000.